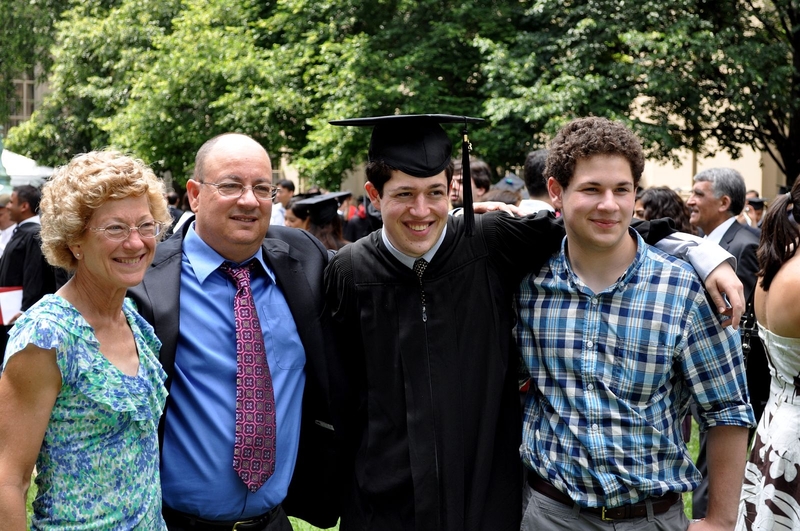 I am a bit late on reporting about Nathan’s graduation but I was waiting to download some pictures and I have been working on a “project” that I need to complete before I can “reveal ” it to the world. First, Nathan’s graduation from MIT in Boston was fantastic.We had a fun week in Boston the several days we were there before the graduation. 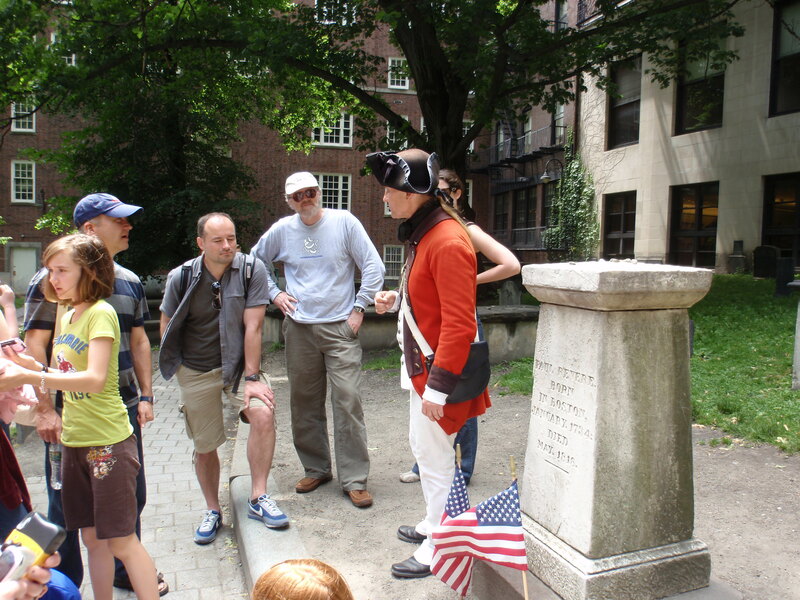 We walked the Freedom Trial with a guide, a history professor in full Red Coat attire. He was interesting as well as entertaining. We had seafood every day: the clam chowder was outstanding every place we ate. The beer wasn’t too bad either. 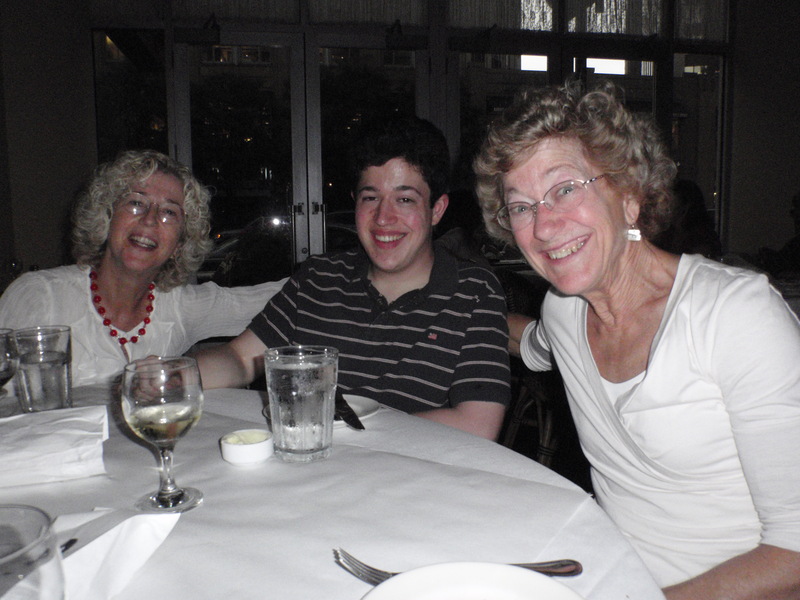 The night before graduation, Nathan, Chris and Chris’ sister, Barbie and I went out to dinner and then to see the Boston Pops who were giving a special performance for the graduating class and the 50 Reunion alumni. Both the dinner and the concert were great fun. Graduation Day was HOT!! We were sitting with what seemed like a zillion people. There were almost 3000 students who graduated when you include undergrad and graduate students. They read off everyone’s names – rightly so- but it made for a long morning. Danny and Chris were visibility proud as were we. That evening we went to Joanie’s house, Chris’ other sister, for a BBQ. It was quite an adventure getting there. What should have been a 15 minute drive took us over an hour. If you’ve never driven in Boston I would recommend not to do it or at least pay the extra money for a GPS in the rental car. That city is so confusing, the road signs are non-existent and if there is one it is confusing as to where they are directing you. Add to that the traffic and it’s enough to mad. On our final day, Fergus and Nathan went to an old battleship yard (yawn) so I went to two art museums – terrific! The day flew by. 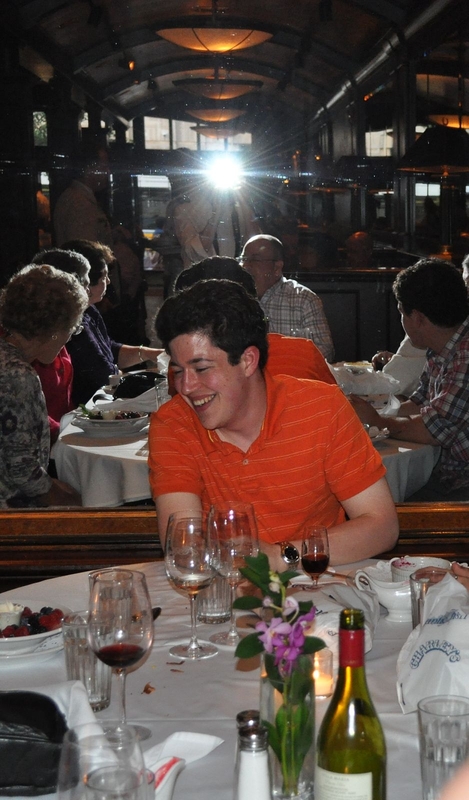 That night we all went to Nathan’s favorite restaurant in Boston, Abe & Louie’s. It was a wonderful end to a fantastic week of family, fun and celebration. Nathan and family at Abe & Louie's. There is more exciting news that I will report in a future blog. We are going to Australia on July 6 for a job interview. And in the next week I hope to add a blog telling you about my “project”. Tune in soon. This entry was posted on June 23, 2010 at 8:17 am	and is filed under Uncategorized. You can follow any responses to this entry through the RSS 2.0 feed. You can leave a response, or trackback from your own site. Sounds wonderful! I’m so glad you were able to join them for that special week. And I agree, driving in Boston is an experience best left to those who live there and don’t have a choice. 🙂 The signs are terrible, not to mention the “Big Dig”. That’s still going on, right? When I was there, no one had any estimate for when it would be done, and it was an enormous, messy project. I’m so proud of Nathan! What a smarty pants. 🙂 He and Curtis are looking so grown up. Danny and Chris have done a great job with those boys. Can’t wait to hear about your “project”! Sounds like you had a lot of fun! This is great. Congratulations to Nathan. Looking forward to read about your project!